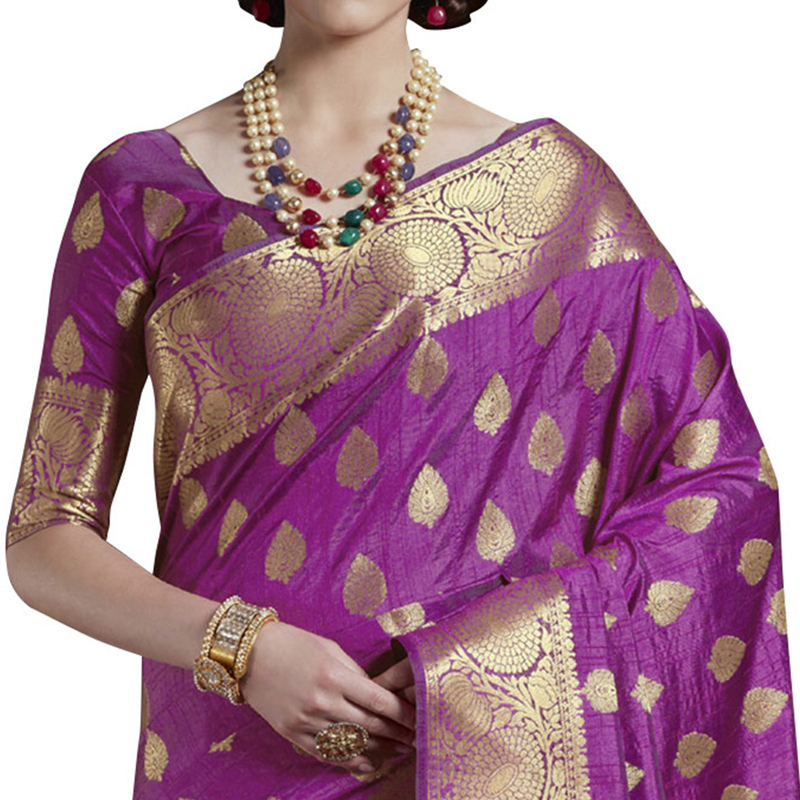 Include yourself of the glamour of the season with this perfect purple colored saree. 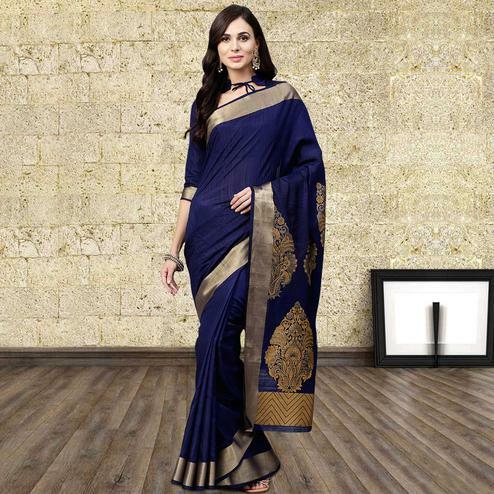 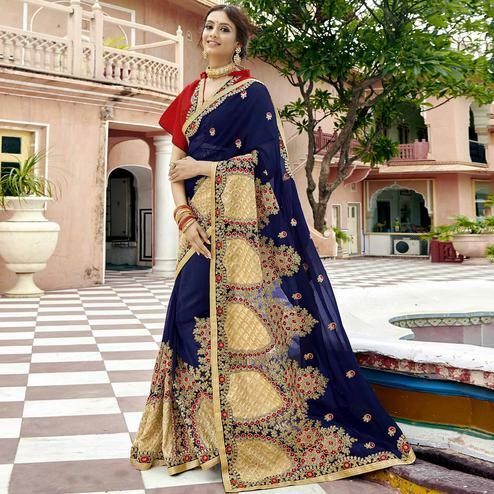 This saree prettified with beautiful woven designs which makes it more attractive look. 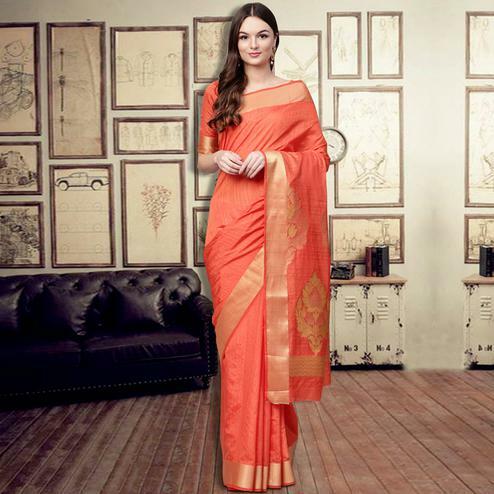 This saree is perfect for wedding, festivals and occasions. 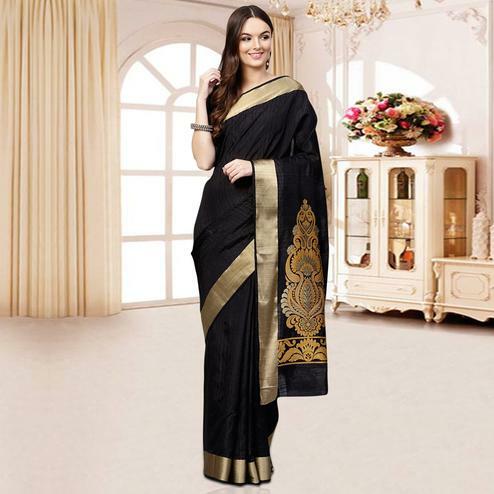 This saree is made of silk accompanied with a matching colored unstitched silk blouse piece which can be designed as per your requirement. 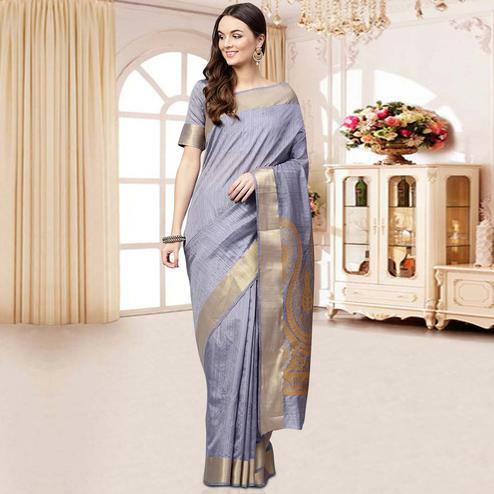 Pair it with traditional accessories to make your look more beautiful. 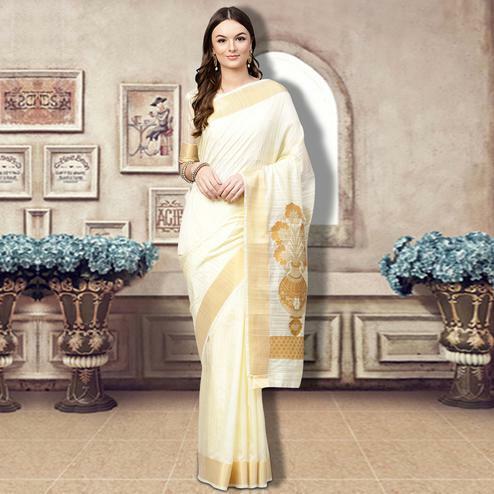 It's a must have saree in your ethnic collection. 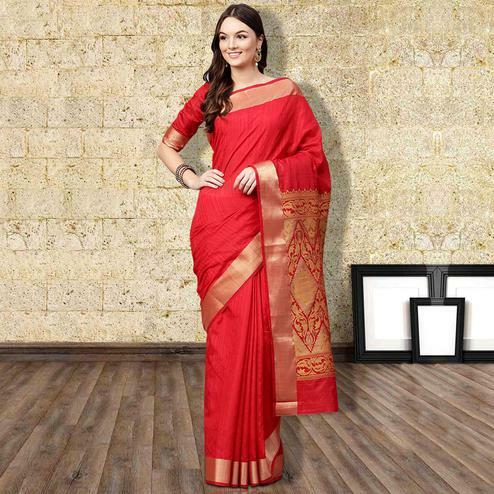 Buy this saree now as it's a unique piece with attractive color which is rare to find.